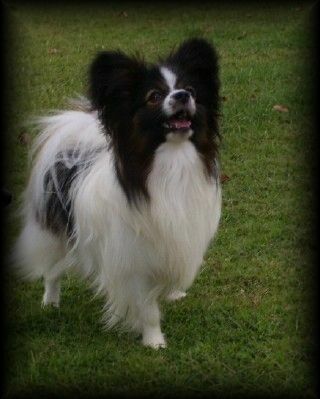 Hector is our first papillon. Hector is a pleasure to be owned by. Hector has given us some very exciting times in the show ring and very quickly attained his championship status.